MM214 is a new series of innovative measuring microscopes from Holmarc designed for industrial and scientific measurements. 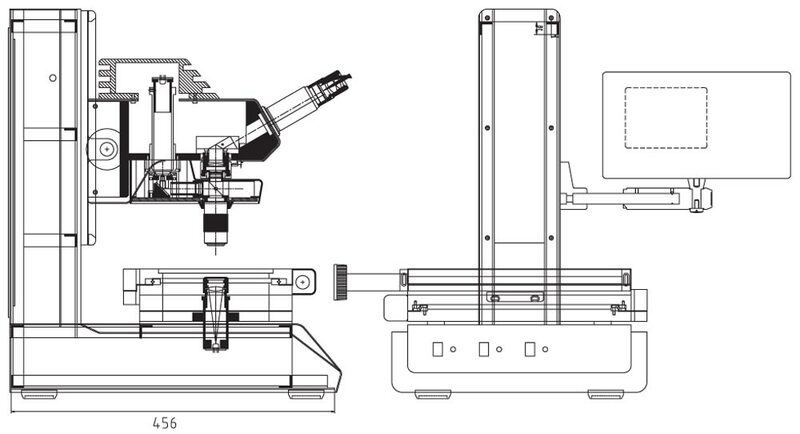 These microscope are designed for delivering maximum measuring accuracy. It can be used for measurements as well as inspection of miniature parts and specimens which are too small to be measured without the assistance of a microscope. The instrument can measure semiconductors, small electronic and electrical components, biological specimens, micro-electro mechanical systems (MEMs), miniature machined parts, miniature molded items etc. 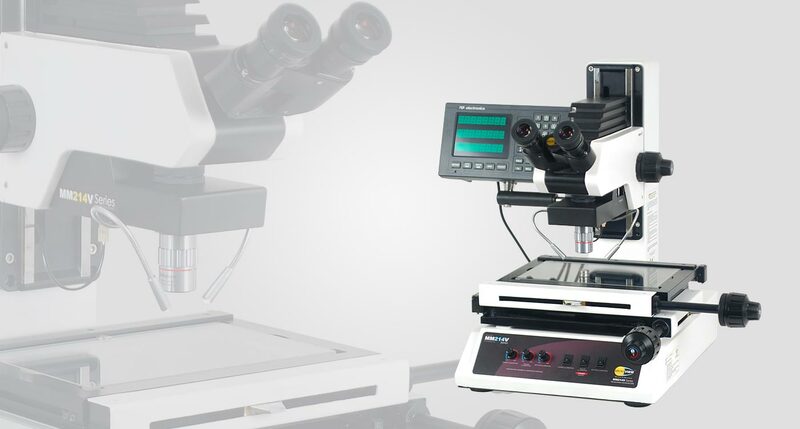 The microscope has long working distance objective, eye piece fitted with reference cross wire, precision XY measuring stage, optical linear scales fitted to the X,Y and Z stages, digital read out (DRO) and object illumination systems. This instrument can be considered to be an essential tool for any laboratory either life science or physical science handling miniature components, parts and specimens. Graduations on the eyepiece holder enable angular measurements by rotating the eyepiece. Illumination intensity can be adjusted for most convenient and suitable illumination. All the three linear stages have precision rolling contact bearings to ensure straight-line accuracy and repeatability in measurements. The stages are fitted with optical encoders having 1 micron resolution. XY stage has leadscrew drives with fine and extra fine movements with hand knobs. There are clutch mechanisms for both these stages to disengage the leadscrew from the stage for quick positioning. The stage has glass top for bottom illumination. Travel for X stage is 200 mm and Y stage is 150 mm. Z stage is driven by rack and pinion through hand knobs fitted on both sides with a fine positioning mechanism on right side. Optical head is fitted to the Z stage. Vertical measurements can be taken by repeated focusing at the points of interest. There are three types of illuminations to choose from : Co-axial illumination, bottom illumination and angled illumination. In all these cases, high bright LED is used as light source for long life and cool lighting. Digital read outs with 1 micron resolution is fitted to the vertical column at ergonomical eye sight location. The read outs have large LED display and various programmable features like error compensation, calibration etc..